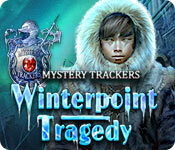 Mystery Trackers: Winterpoint Tragedy is rated 3.2 out of 5 by 19. Rated 3 out of 5 by Polisuco from A mediocre Mystery Trackers and a short game. 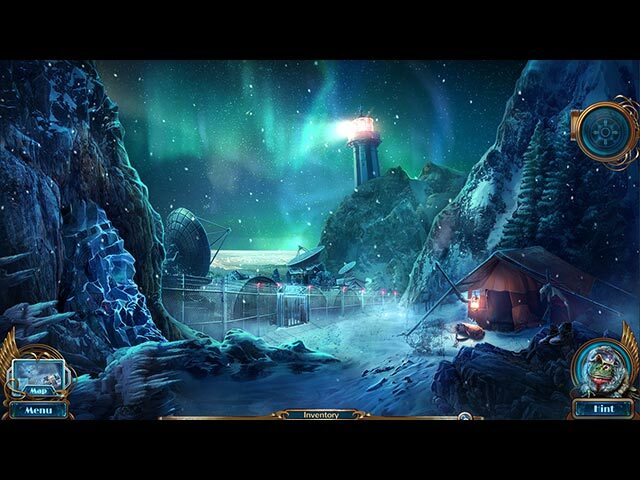 Mystery Trackers: Winterpoint Tragedy promised to be a good game, but, although entertaining, it could have been much better, especially considering it is a Mystery Trackers game. - The story seemed promising at first, but then it wasn't fleshed out properly. - It's a very, very short game. I finished it in around 2h, and that's because I didn't play it in one sitting. - The locations used were very few and unnoteworthy. The positive aspects were that the artwork and the special effects were very beautiful and the interactive puzzles were kind of fun. In conclusion, I don't think this is a game worth your money. It might be beautiful but it's very short, unremarkable and in its final stages feels very rushed. It's a shame that such a lovely snowy setting went to waste. Rated 3 out of 5 by OrionMommy from WINTERPOINT-LESS I really didn't get this game. It is one of those okay games, but you have to wonder if it is worth the money. Graphics and sound are decent, some of the puzzles are fairly good, somehow though, I got bored. I didn't see the point of the "area scan", that was a lame part of the game. Also, the storyline was dumb and boring. I played the demo of both SE and CE versions, I might get the SE, maybe if there is nothing else out there for a while. CE is not worth it for a few morphies and more of that boring storyline. 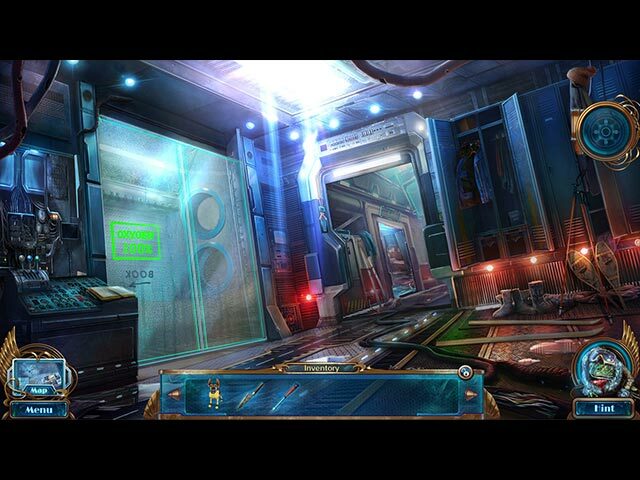 Rated 3 out of 5 by sfr8rfan from Winterpoint: A 3-Star Challenge in a 5-Star Game This review is based on playing the entire Collector’s Edition game, start to finish, in a MacBook Pro with operating system 10.9.5. I will make a recommendation about which version, if any, to add to your collection. The Mystery Trackers name has always been special. It stands for the finest in Hidden Object/Puzzle/Adventure gaming. That hasn't changed with Winterpoint Tragedy. The gloss is here. The amazing graphics, the splendid script and a story line that pushes the HOG genre into uncharted territory are nothing new to us. Just for kicks, Elf is here as well, exploring places mere mortals can't because we're hindered by size. So what's not to like? Well, the "what" is immediately identifiable by its glaring absence: CHALLENGE. Because we've come to expect "more" from Mystery Trackers, its formulaic presentation, though familiar, has never grown tired. In Winterpoint, the formula is abandoned. No screams. No terror. No danger lurking beyond or behind each corner. This is not the problem. The storyline, in fact, grows more mature in this edition of Mystery Trackers. There's a detective, because there just has to be, but this story is more science than scream. It's technology. It’s high-tech terror. It will not keep you awake at night. AND THAT'S OK. The change is refreshing...and promising! If you’re a Game of Thrones fan, you’ll recognize the eerie resemblance to the White Walkers from the “other side of the wall,” where the “nights are long and full of terrors.” Here they’re called Cold Stalkers. On the one hand, it’s pure delight, taking this journey into “days of future past.” On the other hand, it feels like amazing depth of storyline wasted on puzzles seeking a challenge to offer. With all this promise, Winterpoint should be the best in the series. Then I played the first puzzle, which was decidedly un-puzzling. Then came the first UHOS, Un-Hidden Object Scene, a silhouette...followed by another, even less challenging UHOS, an other-worldly symbol repeated several times, spread across the monitor and not at all hidden. Then there was another puzzle...remember the placement of 7 marbles each of which had one of three colors. FINALLY came what I expected all along: one of the famed multi-level puzzles only the best of the best of developers produce...MT and MCF. TRAGIC: It is so easy I finished it in about three minutes. I surveyed the parts of it and solved it. I was very disappointed. I finished the chapter as quickly as I could and took a break to write my review of Winterpoint, The Collector’s Edition. I went back and finished the game and bonus chapter. There are more multi-level puzzles to come. They’re no better than the first, but still the best this game has to offer. WINTERPOINT has all the gloss and glitz. The audio/visual quality is beyond superb. The storyline IS the best yet. Sadly, the challenge is missing. TO CE or NOT TO CE If you opt for the Collector’s Edition you’ll get morphing objects to identify, collectibles, achievements, a strategy guide, the “who cares?” assortment PLUS a bonus chapter twice the size of any of the chapters in the main game. This is an easy recommendation: If you’re not familiar with the series, you’re going to be blown away by the production qualities. If you’re familiar with and LOVE the quality games of the past, this will leave you wanting more, wanting better. Here’s what I recommend: Play the hour-long trial of both the Collector’s Edition and the Standard Edition. You will recognize what I’m writing about the lack of challenge. If it’s not bothersome to you, don’t just get the SE, invest in the CE. Despite my complaints, this is still something special. It’s a new chapter in Mystery Tracker topics, with fun multi-level puzzles. The challenge will return and MT will be on top of the gaming world again. Rated 2 out of 5 by roaming from Not impressed A lot of unnecessary bells and whistles, some that were hard to understand how to use. Graphics are sharp but mostly blue to dark blue both outside and inside the station. Some tasks I would call puzzles were hard to figure out and couldn't be skipped, mostly having to do with the totally unnecessary gadget. The story line has been done to death: scientists uncover deadly monsters and you are the only one who can put down the threat and save everyone. I'm sorry to say that while I have thoroughly enjoyed past MCF games, this one not at all. It just didn't feel like an MCF game. Rated 2 out of 5 by mymetime from Another bitter disappointment from Mystery Trackers Wow, what a disappointment! I really love Mystery Trackers but the last two were bad and worse. This was so short, hardly any HOS or puzzles, and they were all so simple. The only challenging thing was the multi-puzzles, and that's an idea that they stole from MCF! Even the story line was a disappointment, after starting so promisingly - but it was over almost before it began. I don't know what it was that made the first few Mystery Trackers so good, but this one definitely does not have it! Rated 2 out of 5 by bluelake from Disappointed I have enjoyed previous Mystery Tracker games, but this one was a letdown. I uninstalled it before I finished it. Most of the puzzles were real head-scratchers; I didn't have a clue what the objective was, so I just skipped them. Also, there were not enough hidden object screens for me. Rated 2 out of 5 by onefeather from Just not for me. I just did not care for this game, the graphics and colors were low budget for lack of a better word to use. Rated 1 out of 5 by BooksandGameFan from Horrible, mundane game! 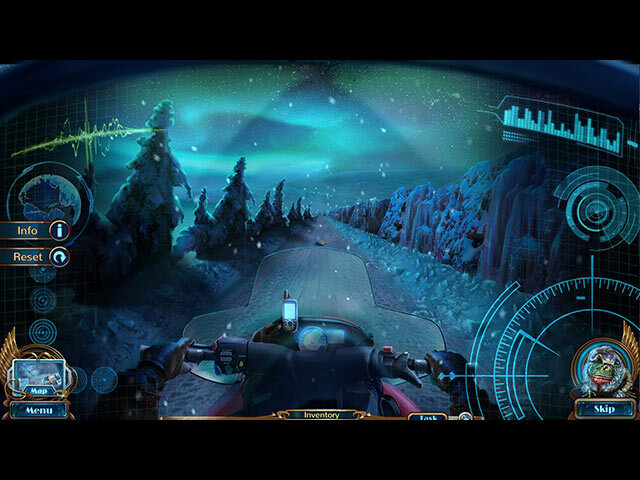 Mystery Trackers hits a new low with Winterpoint Tragedy. Despite the spectacular graphics (if you like snowy scenes), the confusing and boring game play, the mundane story, music that gave me an anxiety attack and the short length basically ruin this game. I usually start a game and play it for a day or two until I finish it. I purchased this game 9/6/15 and as of today I still had not finished it. I did give it one last try then I finally deleted it without finishing it because life is to short to live through one more minute of this horrible horrible nightmare of a game! I couldn't care less how the stupid story ends, I just wanted to end my misery! Mystery Trackers are hit or miss for me While I Loved Blackrows secret, Silent Hollow and Raincliff. I really kind of dislike the others in the series. I would not recommend this game!